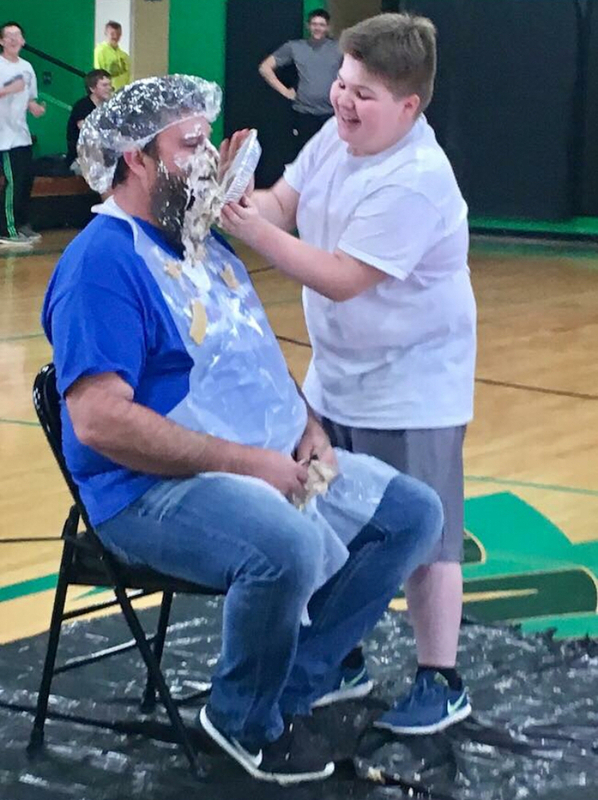 Mr. Stokes received the most student votes, making him the recipient of a “pie in the face”! 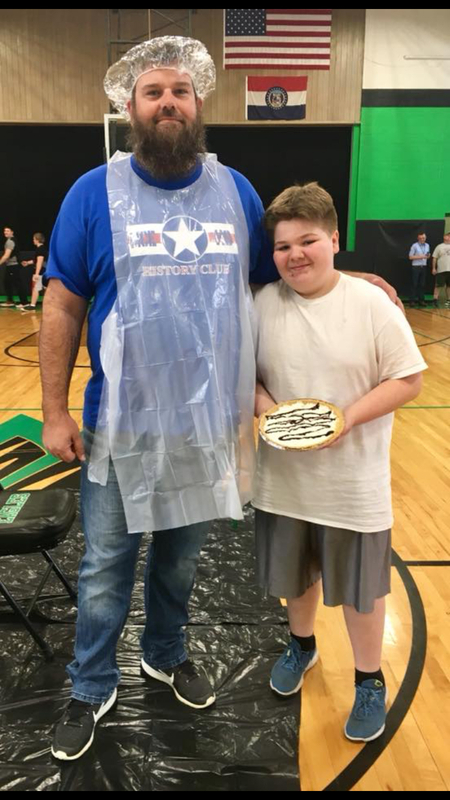 Fifth grade student, Alex Davis earned the honor of throwing the pie by selling the most raffle tickets for a P.I.E. 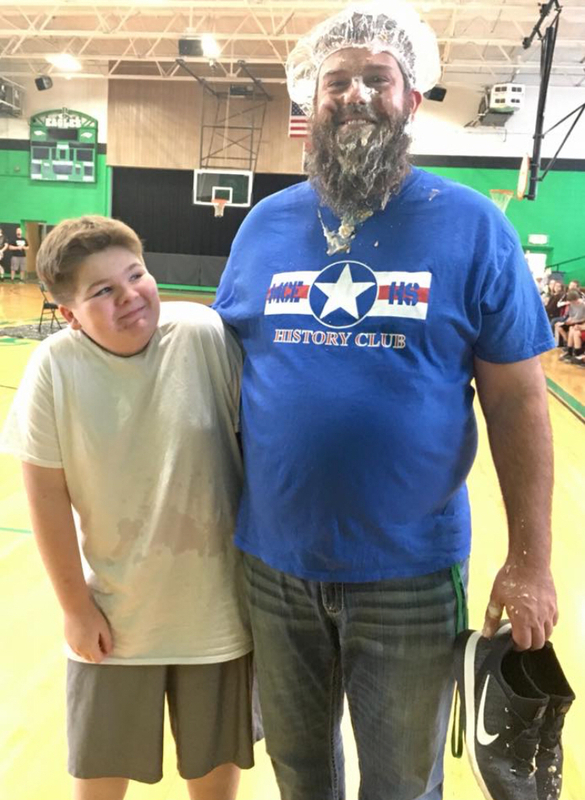 fundraiser.